One of my favourite documentaries of all time is The Fog of War. In it, Errol Morris uses his clever Interrotron to interview former Secretary of Defense Robert McNamara. The movie plays a bit like a monologue; Morris’ voice is hardly present. The movie is structured on MacNamara’s “11 lessons”, which are given to us as he moves us through his wildly fascinating life. Ever present in The Fog of War was the invisible elephant in the room of Iraq. McNamara had, for the vast majority of his life, maintained that former Secretaries of Defense should not criticize current ones. His rhetoric and general message sure seemed pointed towards the Gulf, however, and shortly before he passed away he changed his mind and spoke publicly against the war. This was after he took part in this film, however. Clearly, Morris had something to say about Iraq with the film, though it stands alone as a study of McNamara’s life and times. 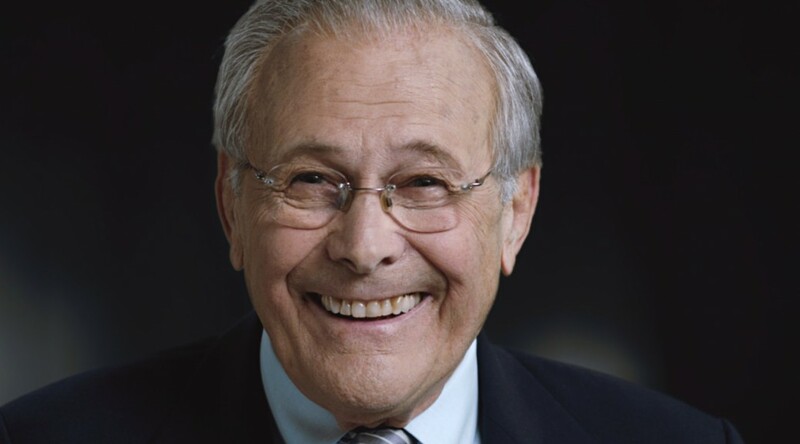 I wonder if I’ve ever been as happy as Errol Morris was when Rumsfeld agreed to do this. This is very clearly the film that he has always wanted to make. An opportunity to dive into the mind of the man seen as responsible for if not the Iraq War itself, then in large part the campaign to rally support for it. He must have been ecstatic. The comparisons with Fog of War are impossible to avoid. Here we have two films, both one on one interviews using an Interrotrons, with former Secretaries of Defense who are seen as responsible for wars that are often compared against one another, by the same guy. The only notable difference on paper is that Phillip Glass was replaced by Danny Elfman (Who did an admirable job of almost replicating Glass’ sublime Fog of War score). And yet, the two films are wildly different. The film flows less logically than Fog of War, and isn’t as good of a story. 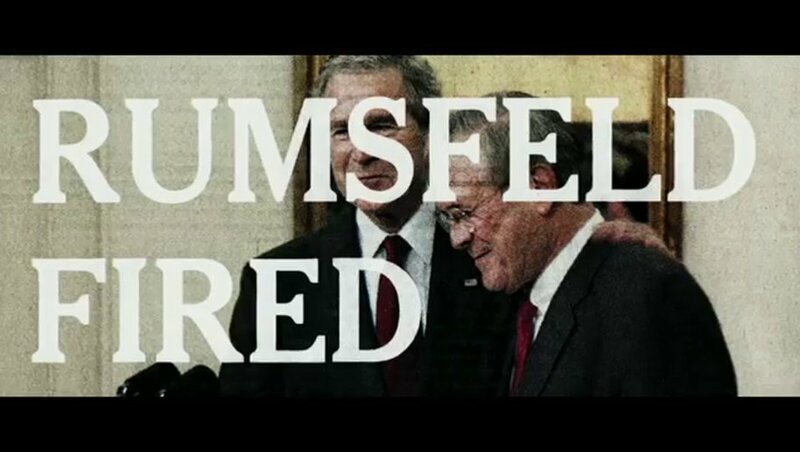 This is in large part due to the fact that unlike McNamara, Rumsfeld is not repentant. He is not sorry, he does not think he deceived the American people. The result is a film that works on a number of levels. It’s a portrait of the man – Donald Rumsfeld. 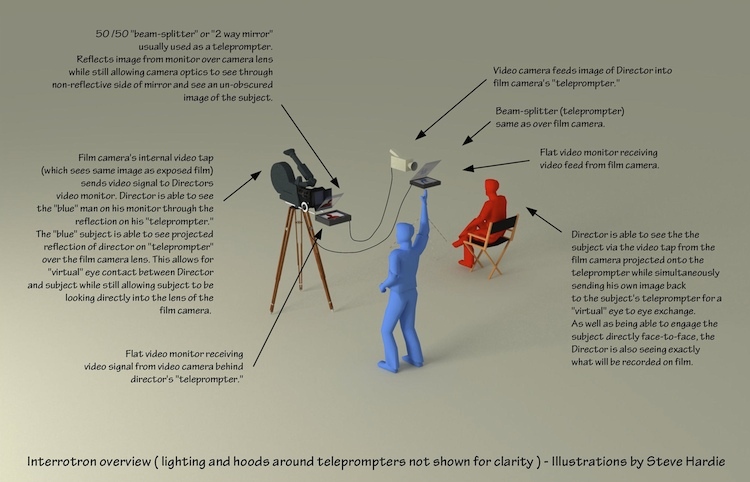 It’s the creation of a documentary maker who is an adversary of his subject. It’s a movie about what a person can make themselves believe, about subjective reality. It’s a story about a man who demands to make his mark, despite the decisions of others to diminish him in history. It’s utterly fascinating.